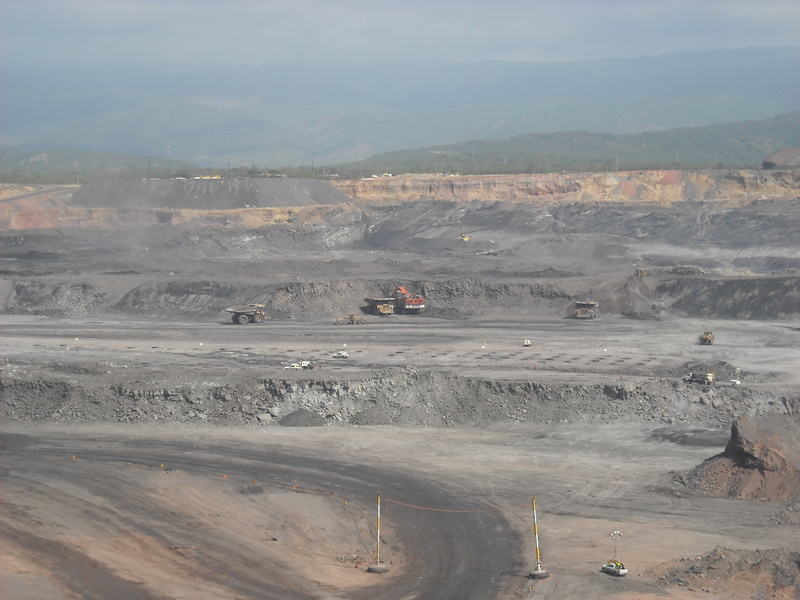 Open letter: We demand justice for communities affected by Cerrejón Coal! We are writing to reiterate our concern about the behaviour of Cerrejón Coal towards the communities around its operations in La Guajira, Colombia. We are aware that Cerrejón Coal has received the various permissions necessary to begin the planned diversion of the Arroyo Bruno, a major tributary of the River Rancheria. We also know that two aspects of the company’s plans are strongly contested: one, the company’s environmental impact assessments which suggest that diversion of the Arroyo will have limited impacts on water availability and local ecology; and the other, that the company only need conduct prior consultation with one of the communities close to the Arroyo. There are in fact at least five indigenous Wayuu communities in the direct influence zone of the Arroyo, and Cerrejón must conduct Free Prior and Informed Consent negotiations with all of these communities. It is not only these communities that are dependent on the Arroyo for water, but also the nearby urban centres. It is clear to us that there are serious concerns about the hydrological and ecological impacts of the diversion and massive opposition from many sectors of the population in La Guajira. Some of the watercourses diverted in the past have dried out, and the fear is that the same fate awaits the Arroyo Bruno. The diversion must not be allowed to go ahead. It is clear that the resettlement of communities in recent years has meant that numerous families who have wanted to carry on supporting themselves by small-scale agriculture or cattle-raising have been unable to do so because of the inadequacy of the quality and quantity of land provided in the resettlement sites. We are particularly concerned about the treatment of Tomás Ustate, a resident of Roche, whose cattle are now to be rounded up by Cerrejón Coal and sold, on the grounds that he has failed to remove them from the mine lease area. The company’s treatment of Tomás is emblematic of the disrespect that the company shows to community members who wish to live by farming. Tomás and several families at Roche made clear over a lengthy period of time that they wished to continue living by farming and that the resettlement arrangements being offered by Cerrejón Coal were inadequate for their needs. By threatening them with forced eviction, the company pressured these families into signing agreements which the families believed were unacceptable. Unsurprisingly, some families have found keeping these unacceptable agreements impossible, and the company has then constantly blamed the families for breaking them. It is clear that the Ustate family, along with the other families at Roche who wish to continue living by farming or cattle-raising, need and deserve a better deal from the company, rather than continual legal actions being taken against them. We understand that Cerrejón has given remaining families in Las Casitas until 30 June to sign resettlement agreements. We do not believe that the people of Las Casitas, a community of African descent that has the right to Free Prior and Informed Consent, should be forced to sign agreements that do not meet their needs. Furthermore, we wish to remind Cerrejón and its shareholders that we oppose expropriation and the use of the threat of expropriation other pressure tactics. We demand that Cerrejón find a peaceful means of coming to an agreement with these families. In recent years, it has been observed that the ‘productive projects’ for those resettled by Cerrejón Coal, which were supposed to substitute for agricultural self-sufficiency, have in many cases failed, leaving families without funds and without means of livelihood. We understand that representatives of the communities of Roche, Patilla and Chancleta have proposed that Cerrejón Coal provide funding to families while further efforts are made to get viable productive projects going again. Cerrejón Coal has apparently refused to do so on the grounds that the global price of coal is too low. We believe it is outrageous that Cerrejón Coal should destroy people’s agricultural livelihoods through involuntary relocation (in other words, through forced removal), fail to provide sufficient land for those who wish to continue practising agriculture to do so, fail to provide adequate funding and advice for families to make the difficult transition to new forms of livelihood, then, when families’ attempts to change their way of life falter, fail to provide the necessary assistance. Justifying this culpable inaction on the grounds that the coal price is low adds insult to injury. The company must provide adequate land for agriculture, adequate funding and advice for those who no longer wish to live by agriculture, and adequate funds for those whose attempts to make their livelihood in a new way have failed. We receive reports from time to time – including very recently – that Cerrejón Coal is working with people within the communities who are more amenable to the company’s own wishes, and avoiding working with those whose hopes run counter to those of the company. This foments divisions within communities and leads to disputes within, and between, families, which may take many years to heal. This policy of ‘divide and rule’ is immoral and must be stopped. The work of the ‘Mesa de Lideres’ and negotiations with communities must include those whose demands are less easy for the company to fulfil as well as those whose views the company finds more congenial. Behaviour which creates or deepens community divisions must be avoided. We are aware of legal decisions from 2012 which recognised communities such as Chancleta, Patilla and Roche as communities of African descent. This means that these communities have the legal right to prior consultation over major economic projects which affect their land and livelihood. They have never been offered this basic constitutional right, and Cerrejón Coal continues to ignore the legal implications of the recognition of their nature as African-descent communities. Their rights must be respected and upheld. This means they must be consulted about the company’s plans to the extent that they are affected by them, rather than treated as if they were an inconvenience which must be moved out of the way at the lowest possible cost to the company. The long-term environmental damage caused by the Cerrejón mine, the rupture of the social fabric of the surrounding communities and the destruction of livelihoods are, in practice, irreparable. No money can compensate for them. In the recent sentence in the case of two-year-old Moisés Daniel Guette it was judged that in order to recover his health he would have to move away from the indigenous resguardo of Provincial because of the levels of pollution from the mine. It is outrageous that an indigenous child should have to move away from his ancestral community to protect his health because of the activities of Cerrejón Coal, given the importance to indigenous people of their link to their own territory. It is staggering that, after thirty years of mining, there are no official studies of the health impacts of the mine. Expansion of the mine must cease in order that further irreparable damage be avoided. We demand justice for communities affected by Cerrejón Coal! Professor Jane Rendell, The Bartlett School of Architecture, University College London. Experts working in the La Guajira region strongly challenge the company’s view that diversion of the Arroyo will have limited impacts on water availability and local ecology. For instance, at a forum on the impacts of the diversion of Arroyo Bruno, Ana María Llorente, Environmental Engineer and member of the Research Group Terrae on Geo Environment at the National University of Colombia, suggested that there are three main environmental impacts that will result from a diversion of this important tributary. These impacts relate to increased water scarcity, greater vulnerability to drought, and biodiversity. 1) As the Arroyo Bruno is a tributary of the Rio Rancheria, its diversion will undoubtedly affect the hydrological system at a regional watershed level resulting in a worsening of water scarcity in the region. 2) Given the semi-desert conditions of La Guajira, diversion of the Arroyo Bruno will decrease the resilience of the area in the event of drought. As incidences of drought increase with climatic change, the region will become ecologically more vulnerable in the event of diversion. 3) The tributary runs through an area of global ecological significance and is home to one of the few special dry ecosystems featuring mega-diversity. Diversion will undoubtedly bring about the destruction of ecosystems and habitats for many of the riparian, aquatic and land species that depend on the Arroyo Bruno. In addition to these concerns, previous experience demonstrates that tributary diversion results in severe ecological, and therefore social, harm. The Arroyo Aguas Blancas was diverted 20 years ago and features many of the negative consequences outlined above, and the wider area has become desertified. Prior consultation was conducted with only one of the communities close to the Arroyo. There are in fact at least five indigenous Wayuu communities in the region directly influenced by the Arroyo. We believe that a Free Prior and Informed Consent process (and not simply a consultation process) should be conducted with all the indigenous and African-descent communities, since they are entitled to it. There should also be consultation with other users of this water source, including urban centres which are ultimately dependent on the Arroyo Bruno for water. According to the Center for Research and Popular Education (CINEP), the Arroyo Bruno “Supplies water to the communities located in the area of Albania, mainly African-descendants, and to at least 34 Wayuu communities”(1). According to CENSAT Agua Viva, “near Arroyo Bruno live approximately 300 people distributed from the Tigre Pozo to La Horqueta 2 communities”. Regarding other communities that depend on the Arroyo Bruno, CINEP stated: “… it is estimated that every day, every 5 minutes, two to three water trucks each extract – from the Arroyo Bruno – 12,000 litres of water to supply the population – including a large number of Wayuu indigenous people – for whom this resource is not available any more. The vehicles take the water throughout La Guajira, passing by Albania, Maicao, Uribia, Riohacha and some areas of Manaure(2)”.